Located in Valencia, Spain, in a municipality called Rocafort in the Eastern part of the country, these single-family residential projects were designed by architects Antonio Altarriba Comes. 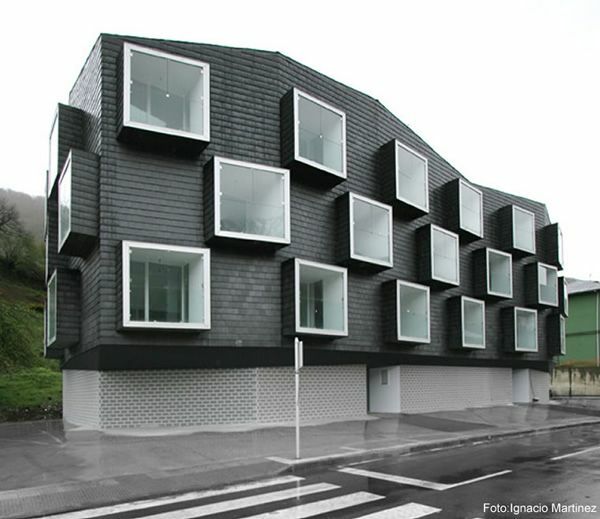 These residential units bring together three types of housing: type A and types B and C. Each of them has unique features but look fantastic as a whole. Differentiated by some architectural elements, the collection of six houses avoids monotonous recurring parts. The semi-detached houses were constructed in such a manner as to alternate the types, so that each family feels the same comfort without experiencing boring repetition. Although the architectural pieces are the same, the architects managed to place them in different ways, making the building process easier and the result feel like personalized homes. Patios on all the houses break the monotony and offer a strong connection to the surroundings. Small crystal clear pools offer the inhabitants a world of fun in their own backyard. Cantilevering over the gardens, the living spaces on the higher level offer natural light through extensive use of glass. Take a look at these beautiful houses that create a symphony of architectural elements and tell us if you like the project or you prefer to work independently with an architect.